1. Using a PM tool makes you look more professional. If you're managing your projects through emails, your clients probably aren't very impressed. It's as confusing for them as it is for you. They're probably tired of hunting through the last twenty emails you sent to find the one attachment they're looking for, and they're probably confused about what revision round you're on and how many rounds are left. A project management tool eliminates those concerns from your clients mind and yours! 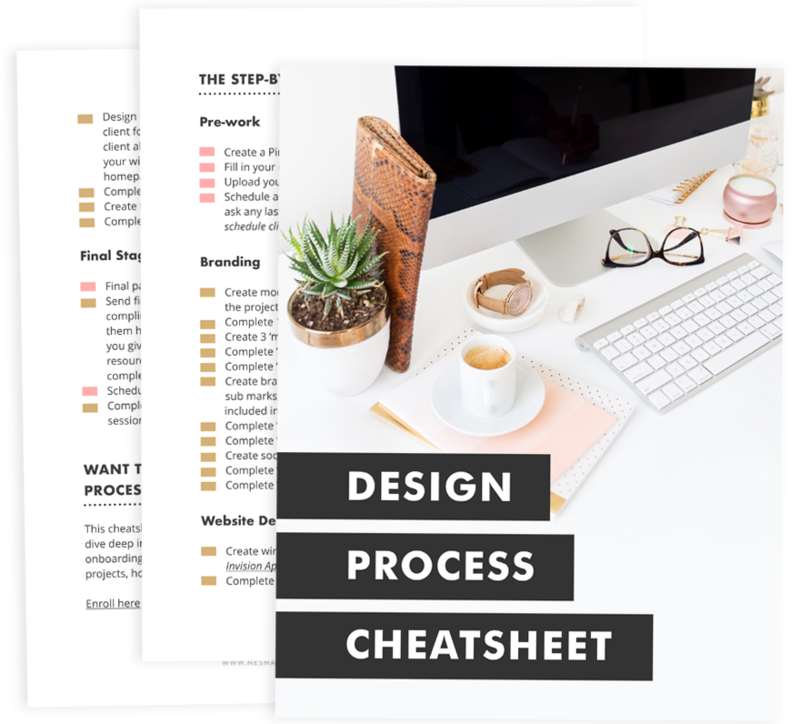 Inside a PM tool, you can document your step-by-step design process and tick each revision off as you go through them so your client is always clear on how many revisions they have left. A project management tool also gathers all your attachments and files in one place, so you and your client no longer need to go through dozens of emails to find them. You just click over to your PM tool and all attachments are in there! If you're wondering how this works, don't worry, I've got a FREE course that teaches you how to use my favourite project management tool, Asana, to do all of this. Head this way to enroll in the course for free! 2. You and your clients know where you are in the design process at all times. When you do this, you can check off every stage as you go. Finished the logo design? You can check it off the list. Finished the website design? You can check that off too! When you do this, you and your client are never confused about what's next in the process. You don't even have to think about it- it's all outlined on the screen in front of you. ... Not in dozens of emails across dozens of threads, or in multiple Google Docs. You no longer have to spend 10 mins+ trying to find one piece of information. All you have to do is log into your project management tool and everything is neatly organized there! 4. A PM tool stops you from stressing out about your projects so much. Before I started using a PM tool, I stressed big time over every project. I was always worried that there were things I was forgetting because my process was unorganized and all in my head, not written down. Every project felt like sooo much to handle. 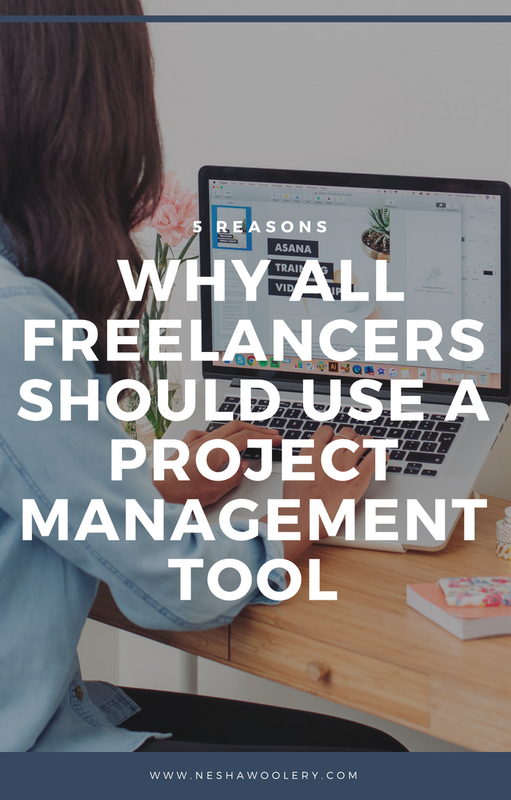 I could only take on one project at a time because of the stress, but after I started using a PM tool I was able to take on multiple projects at once because my PM tool kept them organized and kept me sane. 5. A project management tool allows you to collaborate with other creatives more easily. Have you ever collaborated with a web developer, photographer or other type of creative? It can be hard. You end up unsure how to manage the project. You start to ask yourself questions like- should I give my collaborator the client's email address so they can talk to each other? Or should I act as the mediator and pass on the messages? Should I send my collaborative partner all the files I created for my client? And if so, how would they prefer to receive the files? It can be confusing and stressful, but with a PM tool it's easy! You, your client and your collaborative partner can all join one project within your PM tool and you can all have access to the conversations, files, tasks and feedback. Easy peasy! No faffing around. What project management tool should you use? My no.1 favourite project management tool is Asana. I use it to manage all my client projects, and even my personal projects! It's easy to use, comes loaded with awesome features, and it's free. The screenshots above are all of my Asana dashboard.